Today we released a new service build of PowerShell Studio 2017 (v5.4.142). 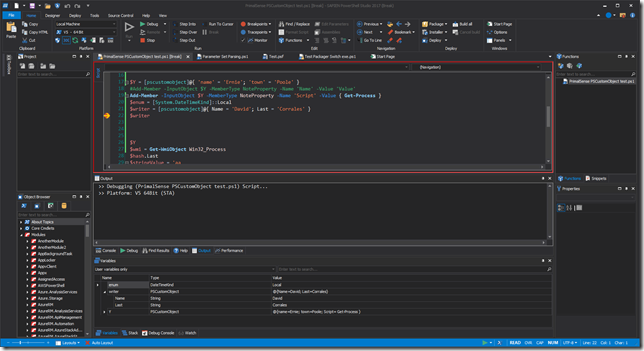 In this service build we introduced new packager engines, new project features and made improvements to PowerShell Studio’s PrimalSense. Windows Application Displays the script’s output in a Windows UI. Windows Service Runs your script as a Windows service. Windows AppTray Displays a tray icon while the script runs. 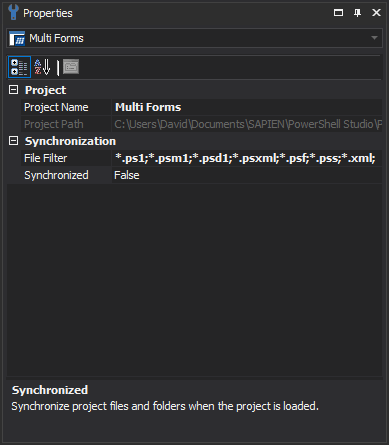 We added two new project properties that will allow you to synchronize your project files and folders when the project is loaded. The new properties are located in the Synchronization group of the project properties. To edit the properties, select the project node in the Projects panel, then use the Properties pane to modify the project properties. When enabled, this setting synchronizes the project files and folders. When the project is loaded, PowerShell Studio will automatically add new files and remove any missing files. This file filter determines which files to search for when synchronizing the project files. 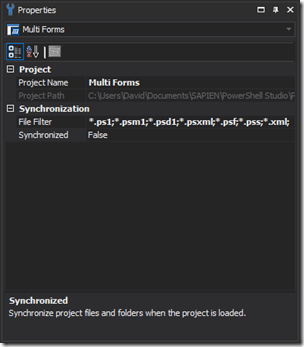 Edit this property to customize the files that are included in the synchronization. The default filter includes all PowerShell file extensions. 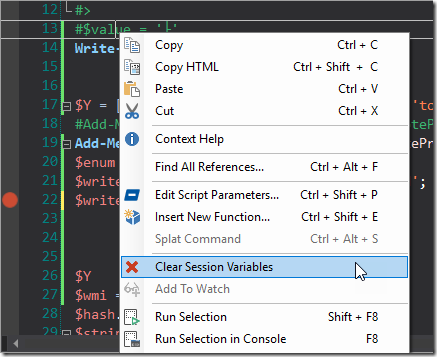 PowerShell Studio now allows users to include project specific snippets. A project snippet folder will appear in the Snippet pane whenever you open a project. Project snippets take precedence over user and preset snippets. 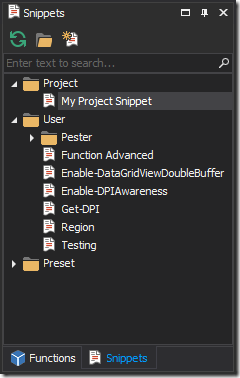 To add a snippet to the project, simply create or copy the snippet to the project’s directory and PowerShell Studio will automatically display it in the Snippets pane when you open the project. 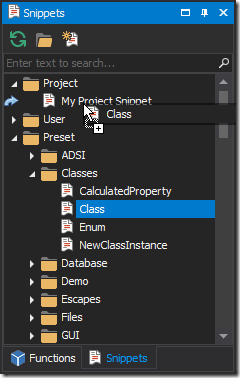 Note: You do not need to add the snippet to the project itself using the Project pane. You can copy snippets to and from the project by simply dragging the snippet within the Snippets panel. We made some improvements to PowerShell Studio’s PrimalSense in this service release. 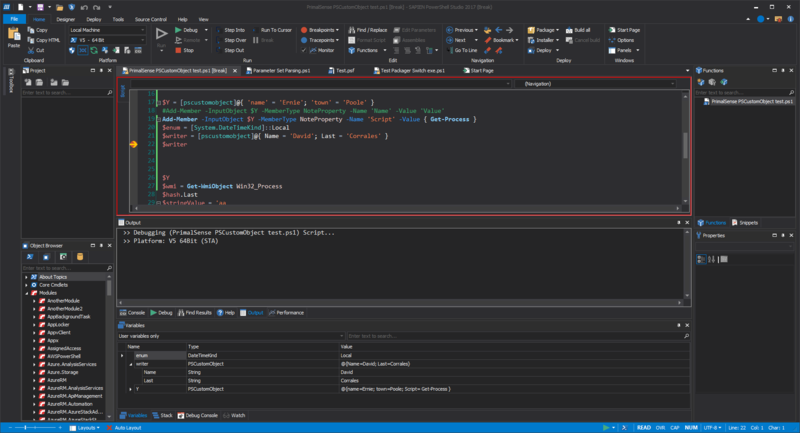 PowerShell Studio will now be able to provide PrimalSense for dynamic objects and properties, such as custom PSObject with note properties. Why didn’t it do this before? 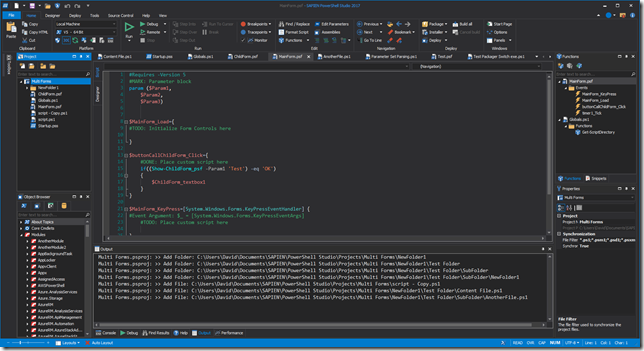 PowerShell Studio resets the PowerShell runspace on every execution. Because the runspace is hosted in a separate process, the editor was not able to provide PrimalSense for custom objects. Thankfully we were able to address this problem in by using the stored session state information. Now let’s look at how you can use a session state to provide PrimalSense for variables. 1. Set a breakpoint in your script. It is important to choose the right location, because it determines the state of the session variables at that given point. As you can see, the note properties now appear in the PrimalSense list. Clear Session Variables command is only enabled when the debugger has stopped. 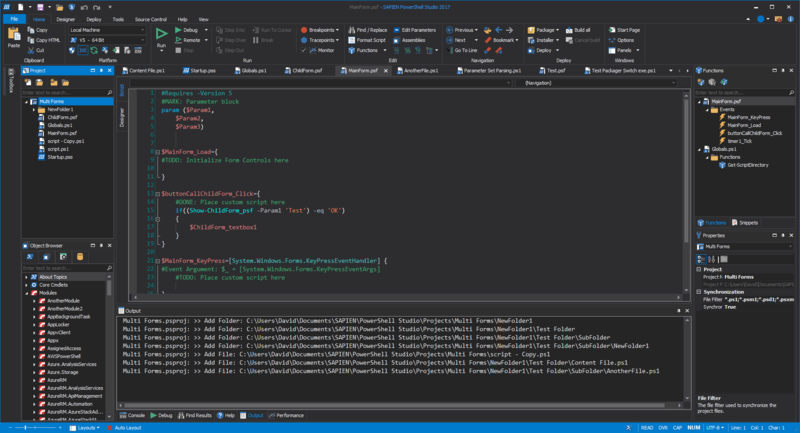 We hope these new features improve your overall experience with PowerShell Studio. Please continue providing your feedback. Many of the new features included in the service builds are suggestions from users like you. Therefore, if you have any suggestions or feature requests, please share them with us on our Wish List and Feature Requests forum.